HITTING THE CLINIC In clinical trials, lab-grown blood vessels implanted into patients undergoing dialysis successfully integrated into patients’ circulatory systems. Bioengineered blood vessels are one step closer to being available for patients. 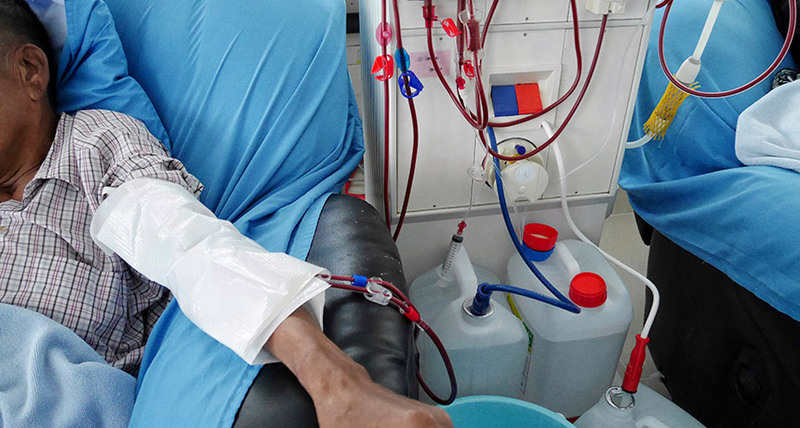 In clinical trials, these vessels were installed in the arms of dialysis patients and successfully integrated into their circulatory systems, researchers report online March 27 in Science Translational Medicine. The new blood vessels, which eventually host the patient’s own cells after implantation, are designed to be safer and more effective than current options. Traditional implants composed of synthetic polymers or donor tissue are liable to trigger inflammation or immune system rejection. Hundreds of thousands of people in the United States alone require blood vessel implants for dialysis. These bioengineered vessels could help not only those patients, but also people who have lost blood vessels through tumor removal or injury, says Christopher Breuer, director of the Center for Regenerative Medicine at Nationwide Children’s Hospital in Columbus, Ohio, who was not involved in the work. Heather Prichard, a biomedical engineer at the medical research company Humacyte in Durham, N.C., and colleagues created each blood vessel by seeding a biodegradable polymer tube first with vascular cells from a deceased donor. Inside a bioreactor tank that supplied the vascular cells with nutrients, these cells multiplied and secreted proteins that formed an intercellular network (SN: 2/26/11, p. 11). After eight weeks, the polymer scaffold had broken down, and the researchers stripped the donor cells from the remaining protein tube, leaving no living material behind. The vessel, about 6 millimeters across, was then implanted into the patient, where the patient’s own cells gradually migrated into the tube.